EIT Food RIS Fellowships project. Internships. 45 MSc students and graduates with different educational backgrounds as well as PhD students and post-docs from 28 RIS countries will discover job opportunities in the food industry, by getting unique, professional, paid, 3-6 months internships within the framework of EIT Food RIS Fellowships project. Unlike other scholarship projects, the MSc students and graduates will reveal their talents in agri-food sector, throughout gaining hands-on experiences and strengthening their job-related skills, including analytical thinking and creative problem solving. 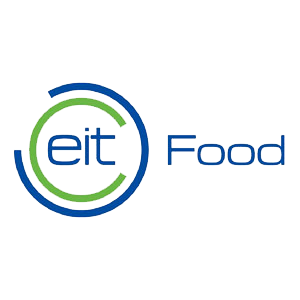 Whereas, PhD students and post-docs will participate in innovation projects of EIT Food and R&D projects by becoming involved in dedicated internships in the EIT Food partner organizations. Project enhances the innovativeness of personnel in the agri-food industry and targets candidates from all EIT RIS countries. 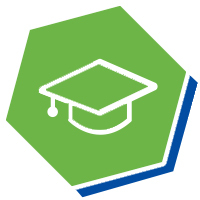 RIS Fellowships candidates will apply academic knowledge in practical real problematic situations of the EIT consortium companies while RIS Talents doctoral students and young postdocs will participate in R&D projects carried out by EIT Food partners. Internships offered will be based on the individual programmes focused on the intern’s profile and ongoing activities in the companies. The selection process of candidates will be implemented as an open call, using clear and transparent selection criteria. RIS Fellowships candidates will benefit from professional recruitment process with corporate background as well as workshops organized in 15 EIT Hubs locations all over the Europe, which stimulate analytical skills and creative problem solving. Fellowships internships will supplement traditional higher education curricula, offering practical skills and developing entrepreneurial talents who will act as role models upon return to their home countries. RIS Talents interns will strengthen the international networking of young academics with leading agri-food players, transfer of advanced knowledge to EIT RIS countries, foster industrial orientation of academic research, and attract talents from other disciplines than food science to the agri-food sector. The recruitment process of interns will be organized through an open call, using the transparent selection criteria. application, workshops and interviewing with host companies. application and interviewing with host companies. The University of Warsaw, the largest and top-ranked university in Poland, Polish leader in implementing R&D projects, has scientific expertise in multiple fields: social and economic sciences, management sciences, mathematical and computer sciences, chemistry and biology as well as research strengthening the sustainability of the food system. 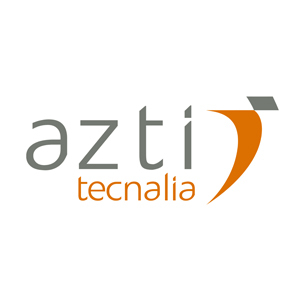 AZTI, a technology centre with experience stretching back over 30 years, works in applied research and technology development with 400 companies per year, including 36 European projects running at present. AZTI offers innovative solutions to the food industry to develop new or improved products solutions where prime quality, food safety and identity, respecting the environment and the consumer as its centerpiece. 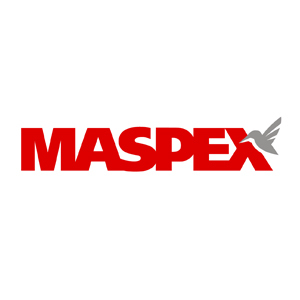 The Maspex Wadowice Group is one of the biggest food producers in Central and Eastern Europe, which operates on the food market for over 25 years. The company aims to be the leader in the food industry in the Central Europe in terms of both market share values and brand power. 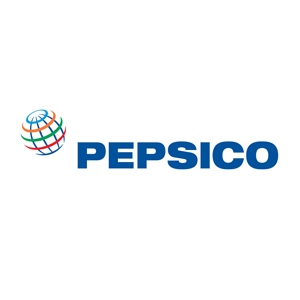 PepsiCo is one of the world’s leading food and beverage companies with over $63 billion in net revenue in 2015 and a global portfolio of diverse and beloved brands. Our complementary food and beverage portfolio enables us to provide more choices for our valued consumers; from oats and juice and yoghurts, to snacks, dips and soft drinks. Our products are available around the world and our portfolio includes 22 brands that each generates more than $1 billion in estimated annual retail sales. 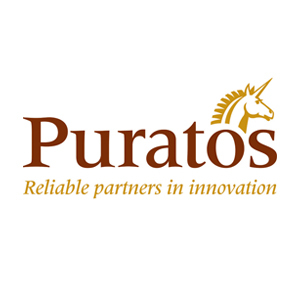 Puratos NV is a global leading manufacturer of ingredients for bakery, patisserie and chocolate. The vision of Puratos is built around taste and nutrition and a strong commitment to help to prepare the world for the next generation. This vision translates in products and solutions optimizing nutritional profiles of baked goods, bringing more grains and fruits in the diet, creating transparency in the supply chain, mobilizing new sources of raw material and reducing food waste. NapiFeryn BioTech develops a proprietary innovative technology which enables recovery of food grade proteins from the residual side stream of rapeseed oil production. Our disruptive technology converts low-margin animal feed into premium quality food proteins, which – thanks to excellent nutritional value, undestroyed native structure and functional properties preserved in the process – can be used as valuable ingredients in food formulations. CSIC has research institutes in eight Research Areas. A. Participation in in vitro experiments (cell separation and culture), Participation in molecular biology analysis, Development of the new mathematical models, Experience in the mathematical modelling/ systems biology techniques modelling of animal’s reproduction. B. Food Immunology, biomass production, lymphocytes isolation from mice tissues, lymphocytes culture and phenotyping, PCR for cytokine detection. C. Studies focused on innovative products development (gluten-free, low glycemic index, low sugar content) with different natural additives to increase their color, texture and aroma properties. D. The analysis of the profile and content of photochemicals and their metabolites in food products and in body fluids (humans, animals) after their consumption by the high performance liquid chromatography – mass spectrometry method. The science / applications interface in the area of satellite-informed precision agriculture and crop monitoring. 1. Efficient and Sustainable Processes. Environmental and social evaluation of European food & drink products through life cycle assessment methodology. 2. lipid profile analysis in blood samples for personalised nutrition. 3. Innovative business models in European Food SMEs: a local perspective. • communication departments of IMDEA Food Institute and CIAL Institute respectively. Which RIS countries and regions are eligible to participate in the RIS Fellowship project? In 2019, countries and regions eligible to take part in the RIS Fellowships are: Albania, Armenia, Bosnia & Herzegovia, Bulgaria, Croartia, Cyprus, Czech Republic, Estonia, Faroe Islands, Georgia, Greece, Hungary, Italy *, Latvia, Lithuania, Malta, Moldova, Montenegro, Poland**, Portugal, Macedonia, Romania, Serbia, Slovakia, Slovenia, Spain***, Turkey, Ukraine. EIT Food RIS Fellowships project is looking young passionate people from higher education upon the return to their homes RIS countries, will spur a wave of entrepreneurial innovations and support the development of the local agri-food ecosystem. RIS Talents dedicated to doctoral students and young post-docs representing scientific disciplines other than food science from EIT RIS countries. They will benefit from lessons learned in their own academic research and will also be encouraged to engage in industrial collaboration or entrepreneurship. 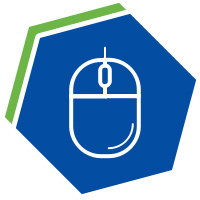 RIS Talents interns will be participated in innovation projects of EIT Food as well as R&D projects by becoming involved in dedicated internships in the EIT Food partner organizations. RIS Talents interns will be provided with 2000 € scholarship/per month. What are the selection criteria for the interns? Candidate is having health insurance required for cross-country mobility. 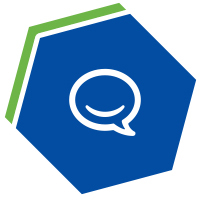 RIS Talents – Candidate joined the EIT Food RIS Expert Community via LinkedIn. Experience as entrepreneurs (confirmed by references will be an asset). What fields of studies, interests are most in demand? RIS Talents is looking for Ph.D. students and post-docs representing scientific disciplines other than food science. What are benefits of the internship? Read all the information about the project and contact us if you have any doubt: risfellowships@wz.uw.edu.pl . Choose one of two available application form, whether you are a MSc student/graduate or Ph.D. student/post-doc. Answer ALL the questions of the online application form. NOTE: In the application form, please specify only one of 15 EIT Hubs locations, where you want to take part in the workshop (at the 2nd stage of the recruitment process). The countries in which the workshops will be held are: Bulgaria, Croatia, Cyprus, Czech Republic, Estonia, Greece, Hungary, Italy, Latvia, Lithuania, Malta, Poland, Portugal, Slovakia, Slovenia, Spain, Romania, Albania, Armenia, Bosnia Herzegovina, Faroe Islands, Former Yugoslav Republic of Macedonia, Georgia, Moldova, Montenegro, Serbia, Turkey, Ukraine. About 30 applicants meeting the selection criteria will be selected for each of 15 workshops. The selection will be made, based on a clear defined selection criteria. The application deadline is April 26th 23.59 pm (CEST). Will I be notified of the decision concerning my application? Yes, you will receive a written feedback after each stage of the recruitment process. How will I know if I was qualified for the workshops? 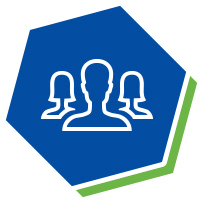 Information about shortlisted candidates who met the selection criteria and qualified for workshops will be placed on the project website www.eitfoodrisfellowships.eu and in EIT Food social media. Each candidate will receive also a written feedback on his/her e-mail. Where will the RIS Fellowships workshops take place? The workshops will take place in 15 EIT Hubs locations, in the following RIS countries: Croatia, Czech Republic, Estonia, Greece, Hungary, Italy, Latvia, Lithuania, Poland, Romania, Slovakia, Slovenia, Spain, Portugal, Turkey. Max. 30 best applicants meeting the selection criteria, will be selected to participate in 1 of 15 workshops organized by EIT Hubs. The participation in workshop is free of charge. All participants need to cover cost of travel and accommodation by themselves. How will I know if I was qualified for the on-line interviews? The list of best workshop participants, who met the selection criteria will be placed on the project website and in EIT Food social media. Each shortlisted candidate will be individually informed about online interviews with host companies. When will the on-line interviews take place? The on-line interviews with host companies will take place at the third stage of the recruitment process in June (Talents) and July (Fellowships). Candidates who met the selection criteria, will be matched to the internship areas offered by host companies. Candidates will be individually invited to the on-line interview with particular host companies. How I receive a scholarship? Scholarships will be awarded to short-listed candidates at the end of the selection process. All interns will be provided with a scholarship to support to cover travel and accommodation expenses, funded from the EIT Food RIS Fellowship project budget, payable on the basis of a consent form. The scholarship will be paid in monthly installments after signing the consent form and monthly reports. The scholarships might be a subject of taxation depending on the legal requirements applying to the sides of the grant agreements. What documents will I receive from participation in the RIS Fellowships project? All interns will receive a written testimonials/feedbacks. If necessary for external arrangements (leave of absence at the University) interns may receive letter of intentions from the project’s team and hosting company. What are the terms, rules and conditions of the RIS Fellowships project? For more information read our RIS Fellowships project GUIDE 2019. EIT Food | RIS Fellowships. All Rights Reserved.